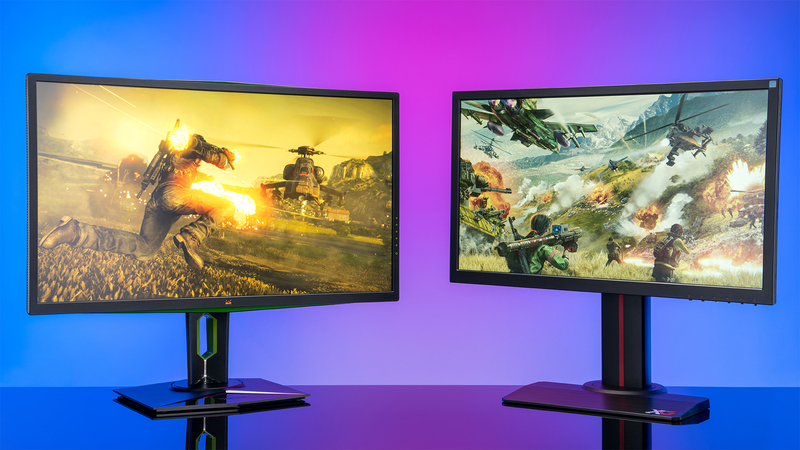 In the gaming monitor market, it can be difficult to stand out, because there are only so many ways to present similar functionality. 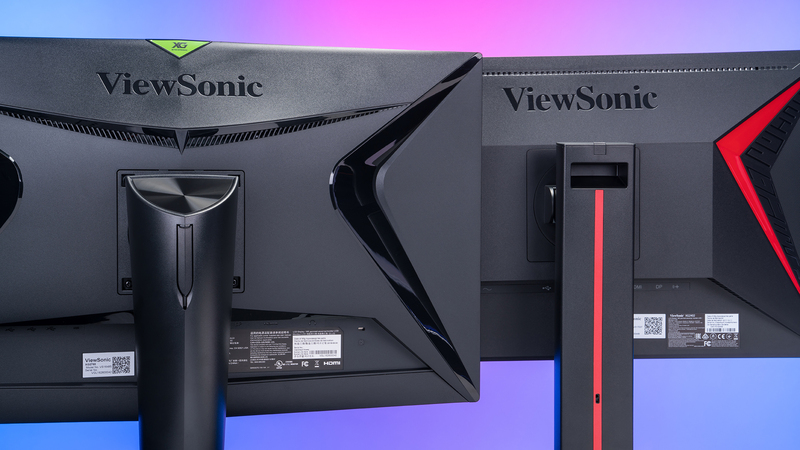 Nevertheless, Viewsonic is looking to distinguish themselves from the pack with two offerings: the XG2760 and the XG2402, each which bring a unique style and feature set to this crowded segment. The XG2760 is a 27-inch monitor with a 2560 x1440 native resolution. It has a static contrast ratio of 1,000:1 and dynamic ratio of 120,000,000:1. It has a TN panel, and has a response time as fast as 1ms. The fastest refresh rate it supports is 165Hz, and also supports Nvidia G-Sync. Video connections consist of one HDMI 1.4 input, and one DisplayPort. For gamers who don’t like using headphones, but don’t want to invest in satellite, there are built-in speakers on the back of the monitor. The XG2760 is also height adjustable, and can swivel and pivot 90 degrees. It also offers forward and back tilt. 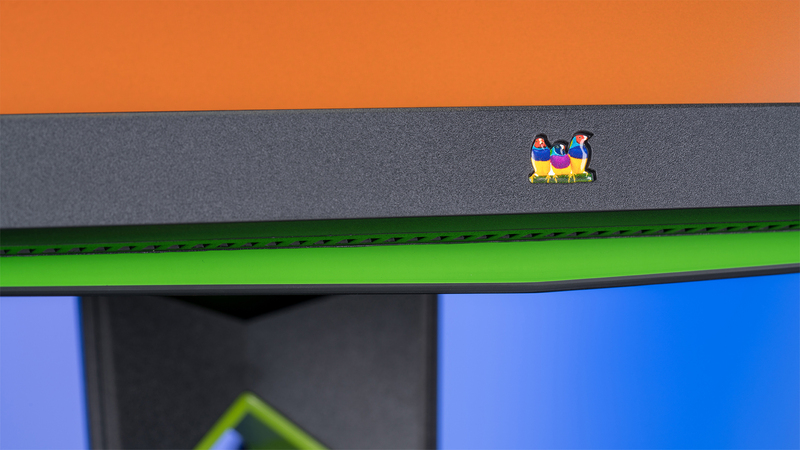 Finally, the XG2760 is VESA mountable, so you’ll have diverse mounting options. The XG2760 looks like it was made for the enthusiast Nvidia graphics card gamer. 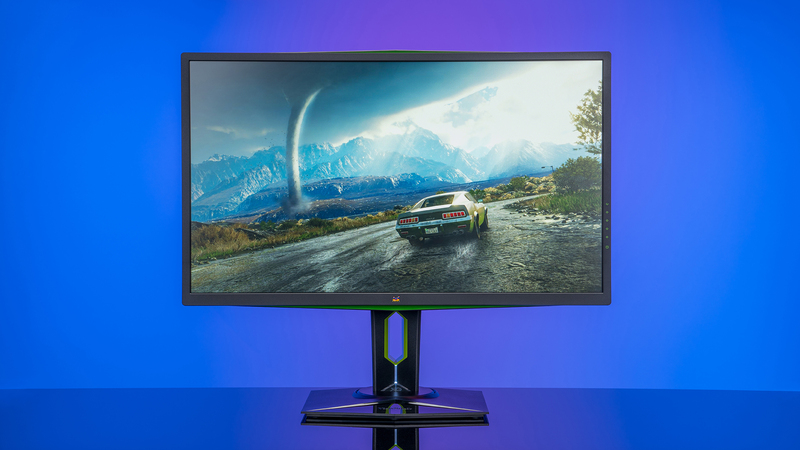 Not only does the monitor support Nvidia G-sync technology, but the monitor also has light green highlights adorning the top and bottom bezels, as well as on the stand and rear panel. Users who don’t have a green-centric PC build or customizable RGB lighting may find these highlights clashing with their color scheme, but the highlights are not obtrusive. The bezels are about half an inch on all sides, except the bottom, which is a little larger. The top and bottom bezels also have plastic protrusions that don’t appear to serve any other purpose than to add the green highlights. 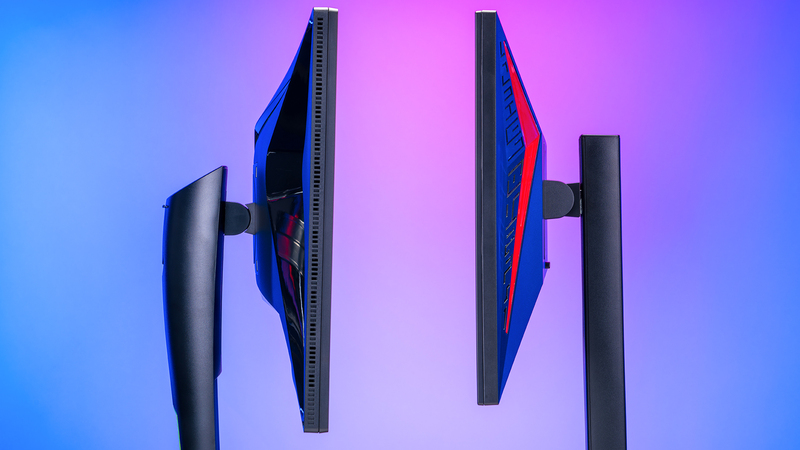 Aesthetics aside, those protrusions will get in the way of certain multimonitor configurations. The bottom bezel also proudly displays the Gouldian finches that have long been the mascot and branding of Viewsonic. Whether or not the branding is appropriate for a monitor that’s trying very hard to look aggressive is up to personal preference. Consumers interested in the XG2760 will buy it because of the hardware performance, and not because of the bevy of unique software features. This monitor offers the standard presets that ostensibly augment the visuals for various game types, like RTS, FPS, MOBA, and others. Via the OSD, users can save up to three presets. Other ubiquitous features include a blue light filter for late night gaming or reading, as well as a dark boost mode that’s meant to provide more visibility in dark areas, but I didn’t notice a significant change in visuals with it on. The most unique feature by far was the Ultra Low Motion Blur function that could be turned on via the Nvidia GeForce Experience Panel. 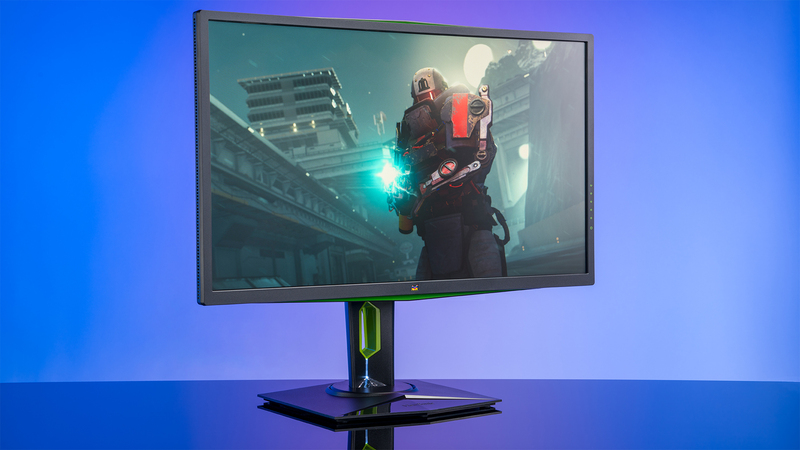 With the refresh rate cranked up to 165Hz, Nvidia G-Sync enabled, and playing at native resolution, the XG2760 performs as well as to be expected. At no time did I experience tearing, blurring, ghosting, or any other visual blemishes. The blacks looked appropriately dark as well and not grey. I only listened to the speakers for a short while before plugging in earbuds, but they sounded average for monitor speakers. They’re good enough in a pinch but probably won’t be your first choice. One usability issue I experienced was with the hardware buttons that navigate the OSD menu. The buttons are located on the back of the monitor, and their corresponding images are printed on the front bezel. Because of the thickness of the monitor, parallax had me pressing wrong buttons because the front panel images weren’t lined up with the rear panel buttons. This issue probably won’t be a big one for most users who will adjust their settings once and then forget about them, but it was significant enough to stand out in my mind. Also, the stand offers some kind of gaming mood light that appears to adapt to the dominant color on the screen except black. In that case, the light turns white. I couldn’t find any documentation about it, and there’s no setting for it in the OSD. The light isn’t necessarily unpleasant, but as someone who wants the least amount of distractions while playing, I wish there was an option to turn it off. Finally, cable management options and a convenient headphone hook were built into the stand, which is always appreciated. The XG2402, on the other hand, is a 24-inch monitor with a 1920 x1080 native resolution. It has a static contrast ratio of 1,000:1 and dynamic ratio of 120,000,000:1. This monitor also uses a TN panel, and has a 1ms response time. The fastest refresh rate it supports is 144Hz and also supports AMD FreeSync. Video connections are via two HDMI 1.4 inputs and one DisplayPort. This monitor also has built-in speakers on the back of the monitor. The XG2402 is also height adjustable and can swivel and pivot 90 degrees. It also offers forward and back tilt. Finally, the XG2402 is VESA mountable. What sets the XG2402 apart from the XG2760, is the typical red and black color scheme that a plurality of gamers appreciate. Most of the highlights are on the rear panel but there is a solid stripe that runs down the spine of the stand facing the user. The XG branding on the foot of the stand also helps draw the eye. The bezels are thicker here than what would be comfortable for a multi-monitor setup, but no distracting or odd-shaped highlights this time. Even the finches are missing. The design language feels much more cohesive on this model. Much like the XG2760, the XG2402 offers the same standard technologies gamers have to expect from monitors in this class. That includes game type presets, dark scene management, and syncing with graphics card technology – in this case AMD FreeSync. 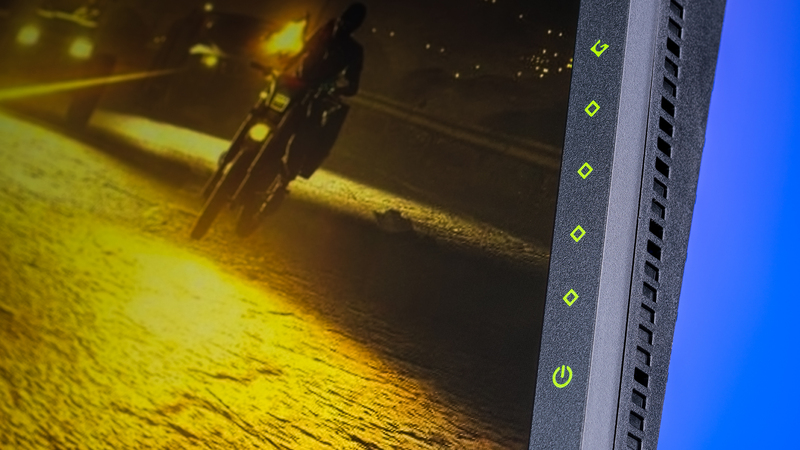 Whether the gamer in your life uses Nvidia or AMD, Viewsonic has a monitor to suit their needs and gaming aesthetic. Large or small, 2K or FHD, you’ll find the right display to make the gamer in your life happy this holiday season. Especially if that gamer is you.